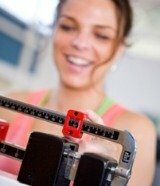 Can Diet Pills Be Used with Dr. Atkins’ Diet? I asked, Can diet pills be used with Dr. Atkins’ diet? early on in my weight loss program. Nobody seemed to have an answer for me, so I did some research on my own and discovered that it depends entirely on what kind of diet pill you take. There are plenty of diet pills out there that are supposed to help you curb your appetite, but most of these are chemically created pills or mood-altering medications that aren’t necessarily good for your health. You will also need to take increased amounts of them as time goes on because your body will become immune to their effects. Most of these contain ingredients that increase levels of serotonin or catecholamine (brain chemicals) so that you don’t feel hungry. Unfortunately, they also often have side effects like nervousness and sleeplessness. When on the Atkins Diet Plan, you don’t really need to suppress your appetite anyway, because you don’t need to count calories. You can eat a comfortable amount of food as long as you stick to the low carb requirements. In fact, some people lose weight on Atkins even if they are eating more calories because they aren’t eating carbohydrates. You can lose a significant amount of weight on Atkins without any pills at all. Another consideration with diet pills is that you really don’t come to understand the Atkins program if you are artificially suppressing your appetite temporarily. No one can continue to take diet pills indefinitely, and once you stop, your body will have to readjust to your new appetite, which can set your Atkins Diet back quite a bit. Instead, if you would like to enhance the effects of the Atkins program, consider taking some of the Atkins Supplements that will enhance carbohydrate-burning instead of artificially suppressing your appetite. These are not “Atkins diet pills,” but natural supplements to enhance the diet itself. Two of these are “Atkins Accel” and “Atkins Dieters’ Advantage,” which are made of natural herbs and green tea. With these you will not have the side effects possible with other appetite suppressants, and will benefit from ingredients that help regulate your blood sugar levels as well.